Today six children from Year 5 attended an outdoor science day at Heron Cross School. We had a fantastic time doing lots of fun activities. 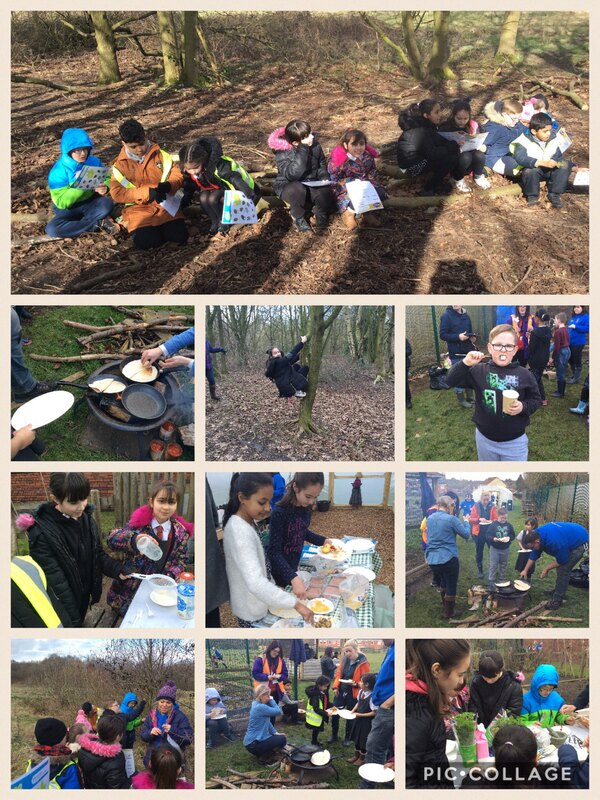 We made our own butter, planted some salad seeds, explored living things on a woodland walk and cooked our own lunch on a campfire. Lunch was amazing: jacket potatoes and wraps with cheese, sweetcorn, mushrooms and beans followed by hot chocolate and toasted marshmallows or mini chocolate rolls. This entry was posted in Year 5 and tagged Science on March 7, 2018 by Sandford Hill. That’s great to hear everyone.It seems like you all had a very enjoyable day and learned lots whilst you were at it too!